Air Products and Chemicals, Inc. (APD) provides atmospheric gases, process and specialty gases, performance materials, equipment, and services worldwide. The company operates through five segments: Merchant Gases, Tonnage Gases, Electronics and Performance Materials and Equipment and Energy,. 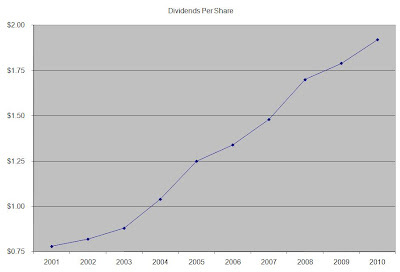 The company is member of the S&P 500 and the S&P Dividend Aristocrats indexes. 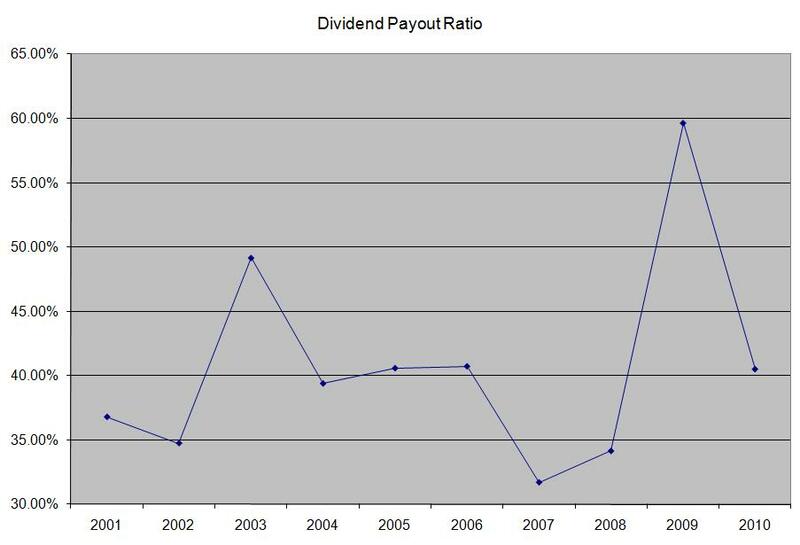 Air Products and Chemicals has paid uninterrupted dividends on its common stock since 1954 and increased payments to common shareholders every year for 29 years. 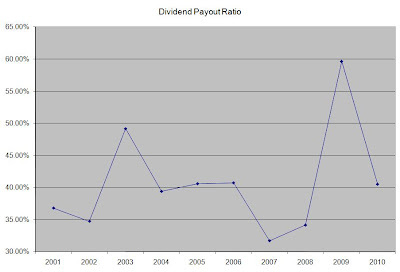 The most recent dividend increase was in March, when the Board of Directors approved an 18.40% increase to 38 cents/share. 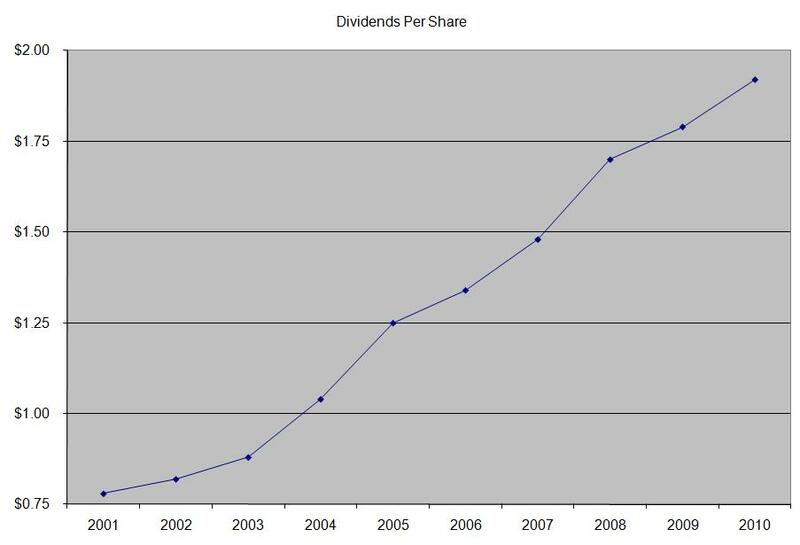 The major competitors of Air Products and Chemicals include Praxair (PX), Airgas (ARG) and Air Liquide (AIQUY). 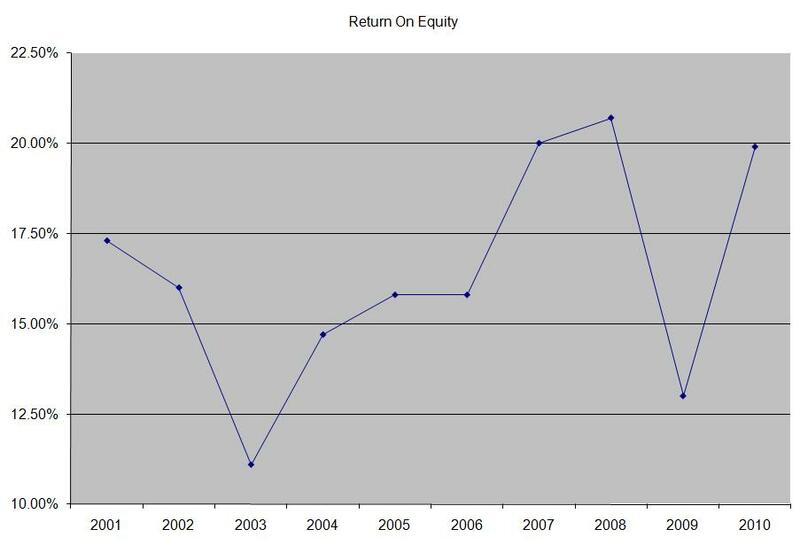 The company has managed to deliver an impressive increase in EPS of 9% per year since 2001. 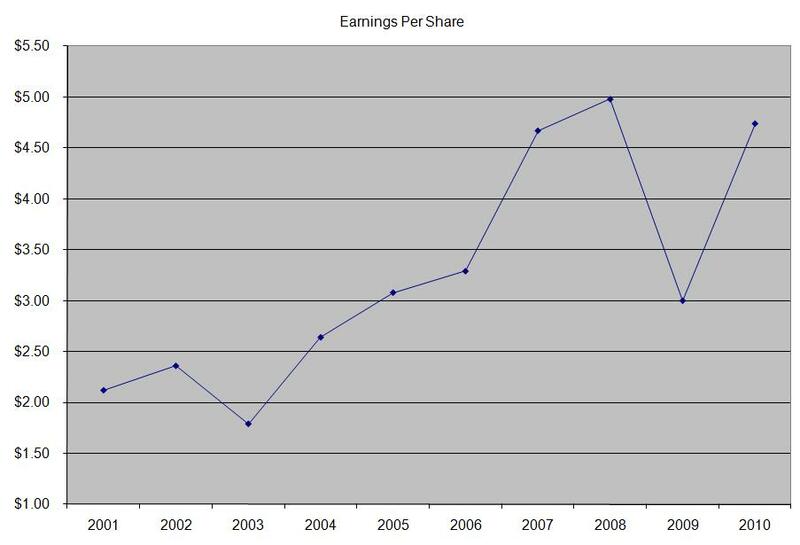 Analysts expect Air Products and Chemicals to earn $5.67 per share in 2011 and $6.32 per share in 2012. 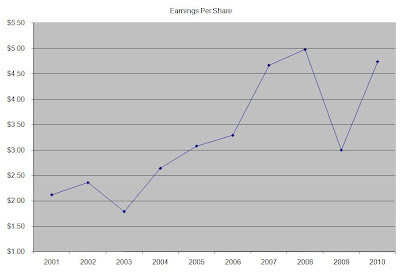 This would be a nice increase from the $4.74/share the company earned in 2010.